I woke up thinking about this book today. I haven't read it in a while, but "Could Be Worse!" is the only surviving book of my wee childhood years. * My copy of is yellowed, stained and crinkled, as many beloved books end up being. The story is about two kids whose grandfather has a standard one-liner, "Could be worse." No matter what they say, his response is, "Could be worse." One day Grandpa overhears the kids talking about how he never has anything interesting to say. So the next morning he breaks their ho-hum routine to tell them an outrageous story of what happened to him the night before, how he got carried off by a giant bird, dropped in the snowy mountains, got stuck in a giant snowball, had to hitch a ride on a piece of toast, and other fantastical things. The punchline, of course, when he's done telling the story is the kids' response: "Could be worse!" This was the first book I ever read that had a clear set-up and pay-off. Probably also the first book I read with a circular narrative. Both of those literary constructs still intrigue me as a writer to this day. 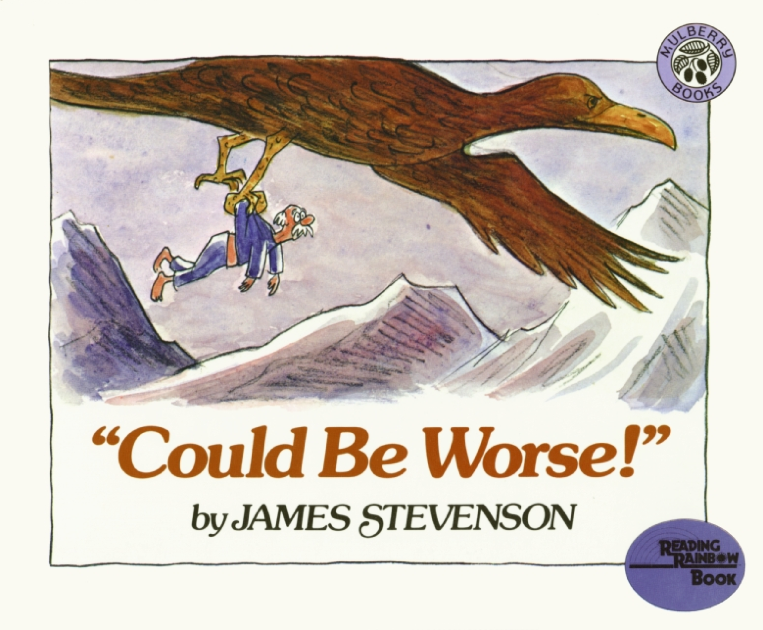 More than anything, though, what stuck with me over the years about "Could be Worse!" is the message. It's really almost always true in life, things couldbe worse. And, keeping that in mind allows us a more joyful perspective on life. There's a sort of built-in gratitude that comes with that sentiment.